Yesterday, I highlighted Argentina’s eloquent and conscientious defence of the International Criminal Court’s integrity and independence in response to the Security Council’s failure to refer Syria to the ICC. 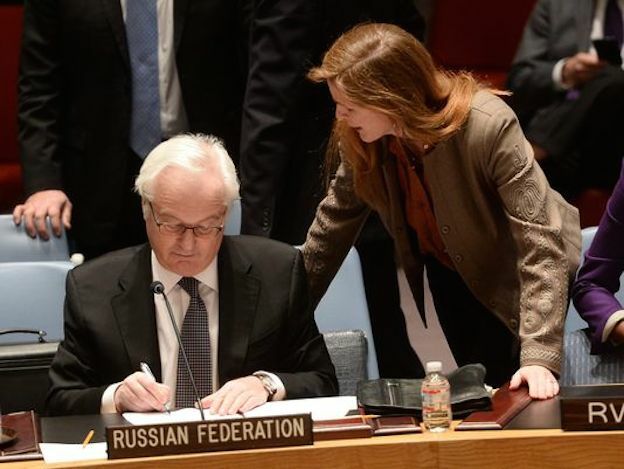 Today, I want to focus on the response by the United States’ Ambassador to the UN, Samantha Power. As readers will know, about two weeks ago, the US changed its policy towards a referral of Syria to the ICC. That paved the way for a French-drafted resolution to be tabled at the Security Council. Predictably, Russia and China vetoed the referral. I say predictably not because observers of the Court and Council knew it would happen but because Russia, in particular, had been unequivocal that it would veto any referral of Syria to the ICC. “Today is about accountability for crimes so extensive, so deadly, that they have few equals in modern history. Today is about accountability for Syria. But it is also about accountability for this Security Council. It is this Council’s responsibility to stop atrocities if we can and – at a minimum – to ensure that the perpetrators of atrocities are held accountable. It was toward that minimum that we sought to make progress today. My government applauds the vast majority of members of this Council who voted to support – and the some 64 countries who joined us in co-sponsoring – this effort to refer these atrocities to the International Criminal Court. …In the past, when extraordinary crimes have been carried out, the International Criminal Court has been able to act. Why is it that the people of Uganda, Darfur, Libya, the Central African Republic, the Democratic Republic of Congo, Cote d’Ivoire, Mali, and Kenya deserve international, impartial justice, but the Syrian people do not? Why should the International Criminal Court pursue accountability for atrocities in Africa but none in Syria where the worst horrors of our time are being perpetrated? For those who have asked the Security Council this very reasonable question, today you have your answer: the Russian and Chinese vetoes. …Month after month, and year after year, we have each spoken about the importance of justice and the need for accountability in Syria. Victims and survivors have begged for action and cried for justice. The international community has supported ad hoc efforts to collect evidence, to record testimony. We’ve launched commissions of inquiry to find facts, and we’ve held meeting after meeting. But we have not, before today, brought forward a resolution to refer the situation in Syria to the International Criminal Court. We have not done so because we were afraid that it would be vetoed. First, Power explains that the US did not support ICC involvement in Syria because the US was “afraid” that any referral would have been vetoed. But that was never the driving force behind the US’s position. Just last September, Power intimated that ICC involvement would be futile. For reasons that can be debated (and will be debated when they are eventually clarified in public), the US believed that an ICC intervention could undermine ending the Syria civil war. It also worried that an ICC investigation into Syria might bleed into an investigation of Israel, which controls the Golan Heights. Power’s explanation is curious, to put it lightly. How could a lack of fear of a referral being vetoed be the cause of a policy change when there was no reason to believe that Russia and China had changed their minds and would now allow a referral to pass? Even if we were to accept that the US was previously “afraid” that a referral would be vetoed, then it should at least follow, given that Russia and China did veto the referral, that Washington severely miscalculated the timing of its policy change. Second, Power points out the inherent selectivity of international criminal justice. She asks how it is possible that the people of Uganda, Darfur, Libya, the Central African Republic, the Democratic Republic of Congo, Cote d’Ivoire, Mali, and Kenya deserve justice but the people of Syria do not. The ambassador has a point. The uneven, selective distribution of global accountability is a blemish on the project of international criminal justice. But what about the people of Palestine, Iraq, Afghanistan, North Korea, Sri Lanka or Burma? These are situations replete with atrocity and injustice that won’t be fully investigated by the ICC – and it isn’t just because of Russia or China. More to the point, what about the victims of atrocities in Syria for the first three years of the war when the US was unwilling to support an ICC intervention? Power’s comments smack of a state jumping on the justice bandwagon late in the game only to be the first in line to bully those who haven’t yet joined. What’s worse is that it fundamentally undermines the goal itself – convincing either Russia or China that Syria should be referred to the ICC. Moscow and Beijing will surely see this as another instance of a very selective US policy being brandished as a public relations weapon against them. Making matters even worse is that Power’s statement gives credence to those who insist that the US’s change in position had nothing to do with justice and everything to do with paying lip-service to accountability and having a convenient means to rip into Russia. The US had an opportunity to explain why it had not supported a referral of Syria to the ICC – and why it decided to support one now. But it squandered its chance. To be clear, the US did have other options. David Kaye has made this case (see here, here and here). In short, Power could have stated that the US was concerned that ICC involvement would have complicated efforts to resolve the conflict but now that that negotiations have ground to a halt, the US believes that accountability can and should be pursued. 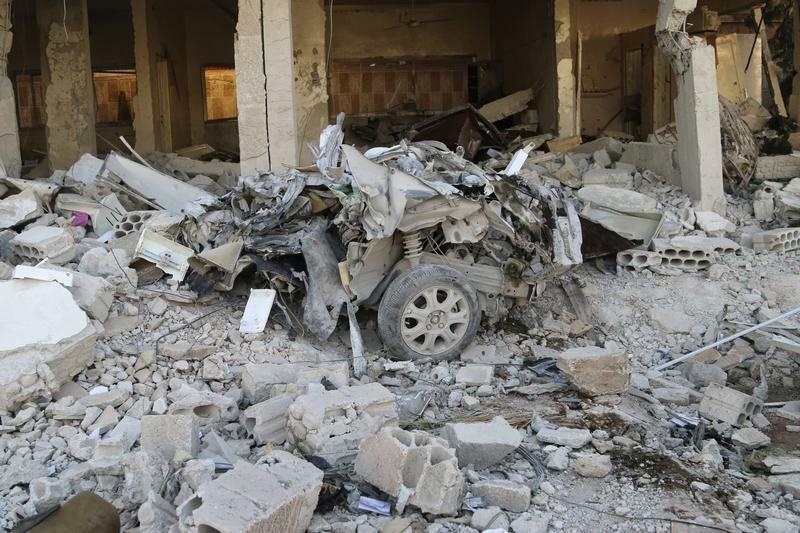 Critically, Power could have made the case that the pursuit of peace and justice would serve everyone’s interests – including Russian and Chinese interests – in Syria. Power went for another message altogether, one that Kaye has rightly described as “harsh and theatrical”. In one respect, Power is undoubtedly right: the Security Council should be held accountable for its failures in Syria. A good starting point would be for states to be honest about their own records and policies. The current blame games are unnecessary, counter-productive and even insulting. This entry was posted in International Criminal Court (ICC), Syria, UN Security Council, United Nations, United States and tagged Samantha Power. Bookmark the permalink.